The law of international trade says that countries export those goods and services they can produce efficiently and in excess of domestic demand, and in return import from countries which can produce and ship other items more cheaply. It’s no surprise, therefore, that Australia’s trade culture grew out of our agriculture industry given we didn’t have the population to consume the bounty of our wide agricultural lands. This is the philosophy in Free Trade Agreements, many of which Australia has finalised in recent times. The agreements remove or reduce various barriers and rules which act as a friction on open trade. This is no different in the Indonesian Australian Comprehensive Economic Partnership Agreement (IA-CEPA) signed earlier this month by our Trade Minister, Senator Simon Birmingham and the Indonesian Minister for Trade, H.E Enggartiasto Lukita. However, IA-CEPA is just as much a plan for economic cooperation as it is for trade. Sectors like investment, access to services and goods market and electronic commerce are singled out for special mention in side letters. So is skills development. It’s an exciting read. Australia is committing to assist to further develop the Indonesian TVET system, including developing training solutions appropriate to Indonesian industry, with improved access for Australian providers to offer training, including full AQF qualifications, in country. Financial support is likely to be given through targeted use of Australia Award Fellowships. I was lucky enough to be present in Jakarta for the signing of the agreement. Indonesian officials were very quick to point out that the focus on TVET was driven by Indonesian President Widodo, alert to the urgent skills deepening task required in his country if it is to continue its economic transformation. There are undoubtedly challenges to realising the potential opened in IA-CEPA. There are examples of successful TAFE engagement in Indonesia, but it is not systemic. There are no less than seven ministries with responsibilities for some elements of TVET, and the value the community places on TVET can be dispiriting. I am also told that Australia’s offshore engagement on skills is sometimes seen as short-term with too much focus on the “sale” – especially of our AQF products. We have also done it well in the past. The Australia – China Chongqing VET Project, a five-year endeavour on skills development and system reform with coordinated Government and provider input, continues to resonate in China some 17 years after it started. We at TDA will engage with the Australian and Indonesian agencies to help design the TVET support. We as TAFEs also need to work together if we are to help bring real change to Indonesia. 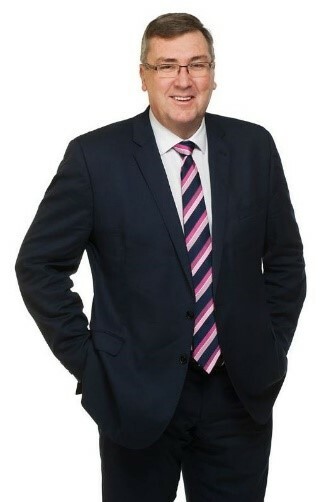 This is the time for network TAFE. If we get this right as a country and as network TAFE, this could be the biggest legacy of Simon Birmingham as Minister for vocational education and as present, for trade. Time will tell, but the law of trade, in this case mixed with economic cooperation, will deliver benefits for both countries. Cooperation and understanding of mutuality of benefit is what we need more than ever! A new report has found that equity group participation at non-university higher education institution (NUHEIs) is lower than at universities. The report, Equity at and beyond the boundary of Australian universities, examines the experience of students enrolled in two distinct modes of higher education delivery – university programs delivered through third party arrangements, and higher education courses delivered by NUHEIs, including TAFE institutes. It examines the experience of students from non-English speaking backgrounds, disability, indigenous, low SES and regional areas. The report says that the low SES participation for NUHEIs, out of all equity groups, is “growing and now exceeds that of public universities at undergraduate level”. “Whilst some NUHEIs outperformed universities on equity group participation and outcomes, there is great variability and average NUHEI performance is below average university performance,” it says. The report says no one type of institution appears to dominate among high performing NUHEIs. “They represent a mix of Christian institutions, private providers and TAFEs; for-profit and not-for-profit organisations; some with self-accrediting status under TEQSA, and others not; and half supported by CGS funding, the other half not. “The only thing consistent across the eight high performing institutions is that they have all been in existence – in various incarnations – for thirty years or more,” the report says. The research was conducted by La Trobe University in collaboration with Victoria University, and funded by the National Centre for Student Equity in Higher Education, based at Curtin University. The Queensland government has injected $3.7m into a partnership between TAFE Queensland and the renowned Le Cordon Bleu French hospitality school, which will see new state of the art training kitchens installed at the Southbank campus. “We know that we will need 20,000 more skilled workers in the thriving tourism and hospitality industry by 2020, which is why we’re committed to providing Queenslanders with the right tools for the job,” Deputy Premier Jackie Trad said. The Chief Executive Officer of TAFE Queensland Mary Campbell said she was very pleased with the ten-year teaching partnership between TAFE and Le Cordon Bleu – the Paris culinary arts school founded in 1895. “It brings together the best skills and professional networks created over decades in the global hospitality industry,” Ms Campbell said. The new commercial grade kitchens will be able to accommodate up to 16 students per class and will train all hospitality and cookery students at the Southbank campus. 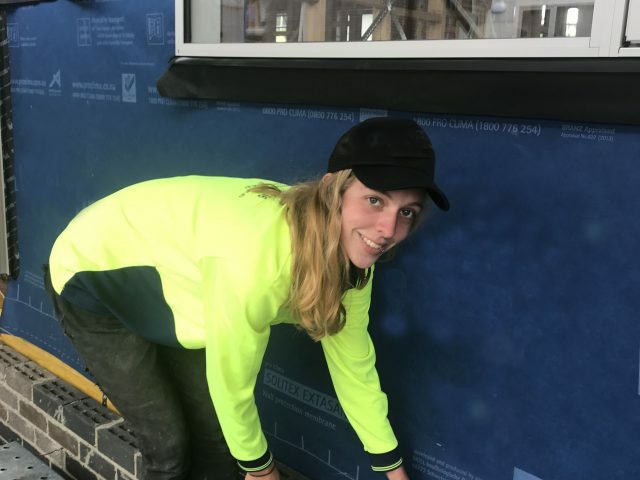 A gender barrier has crumbled in Tasmania, with the state’s first female bricklaying apprentice. It may herald a breakthrough for female tradies, but for 20-year old TAFE student Chelsea Whelan (pictured) and her employer, it’s no big deal. With a family background in the trade, Chelsea says she grew up tagging along to job sites with her father and grandfather and wanted to be a bricklayer from a young age. Chelsea is in her second year of a Certificate III in Bricklaying at TasTAFE’s Clarence Campus and is now employed by Crossin Bricklaying. Her employer, Andrew Crossin, says he had no hesitation in employing Chelsea because of her great attitude. Employers across Australia are currently being contacted and asked about how they employ and train their staff, as part of a biennial survey being undertaken by the National Centre for Vocational Education Research (NCVER). The Survey of Employer Use and Views of the VET System is aiming to contact some 9,000 employers before June. The Managing Director of NCVER Simon Walker said the 10-minute survey is important in helping to inform policy and shape future training. “It’s essential we hear from a range of employers too, to ensure we get a clearer picture of what’s happening in workplaces across the country. The survey was first conducted in its current form in 2005 and covers all training provided in the previous 12 months and provides information at both national and state levels, as well as by industry and business size. The results will be published late this year. Employer demand for more skilled workers in the pastoral and livestock industries has sparked a new course at TAFE SA to assist the agriculture sector. The Certificate III-level Pastoral Worker course launched last month with 10 students from regional South Australia targeting those wanting to work on large station properties. It comprises intensive blocks of three to five days over 12-15 months at TAFE SA Regency Park, Roxby Downs and Port Augusta campuses, or on a station, depending on the skills being covered. Robin O’Dea, TAFE SA’s Manager of Regions, said the pastoral program had been developed in consultation with Livestock SA and local employers. “Our station owners and managers are finding it hard to get suitable long-term workers, so we met with them to talk about the kinds of skills they needed,” he said. Topics will include sheep and cattle handling, welding, fencing, grader operations, tractors and implements, and appropriate chemical use. The Australian Training Awards are the peak, national awards for the VET sector. The awards recognise and reward individuals, businesses and registered training organisations for their contribution to skilling Australia. A reminder that the deadline for abstracts for the AVETRA conference in Sydney, 17 – 18 June has been extended. The conference theme is ‘No future for old VET’: Researching for the training system/s of tomorrow’. The abstracts submission date has been extended to 17 March. Abstracts should be sent to Acting Professor Annette Foley of Federation University – a.foley@federation.edu.au – who is managing the peer review process.